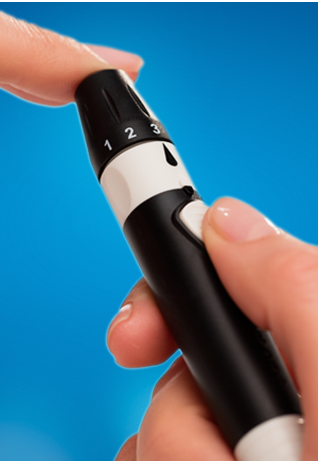 Do you ever find that constantly managing your diabetes can be challenging? 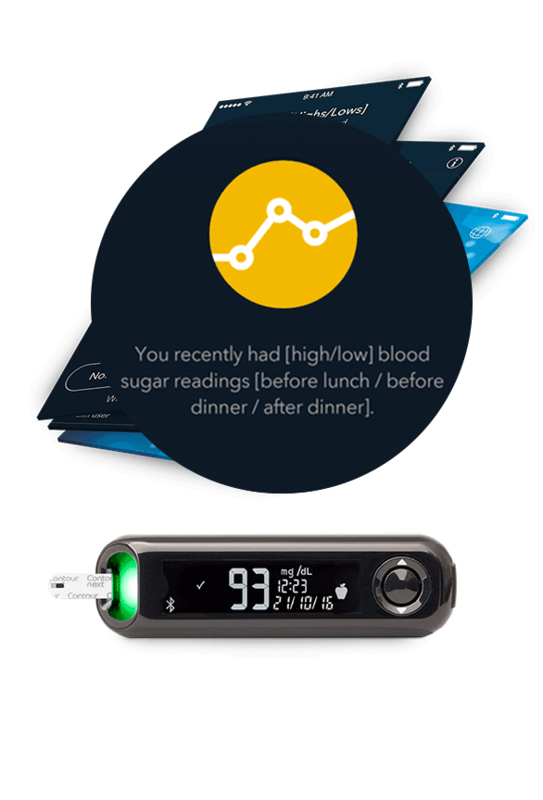 Understanding how different aspects of your lifestyle affect your blood glucose (BG) levels may help make it easier. 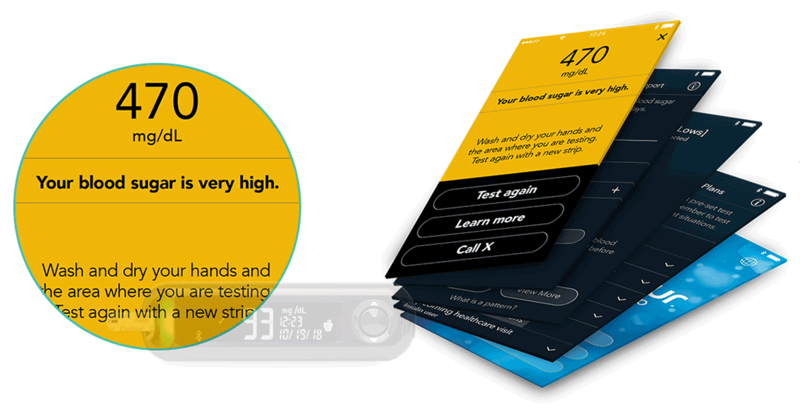 Demonstrated proven accuracy with the CONTOUR®NEXT ONE meter and CONTOUR®NEXT test strips. 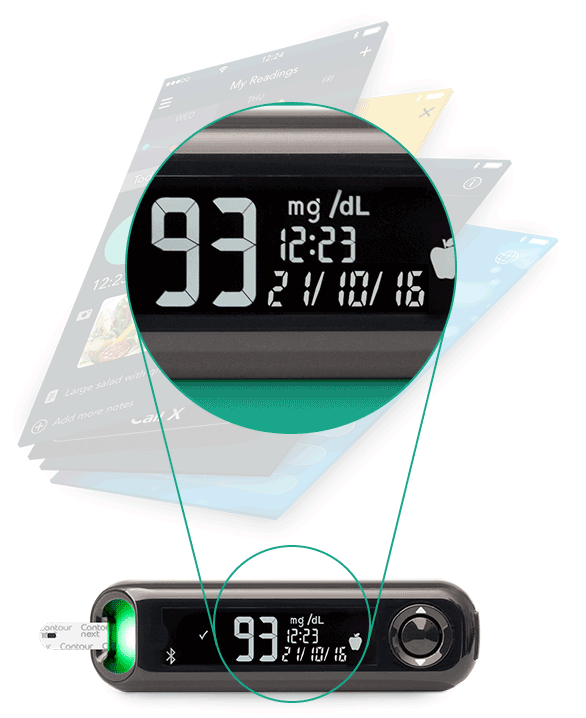 Gives you an instant indicator of your blood glucose (BG) results. 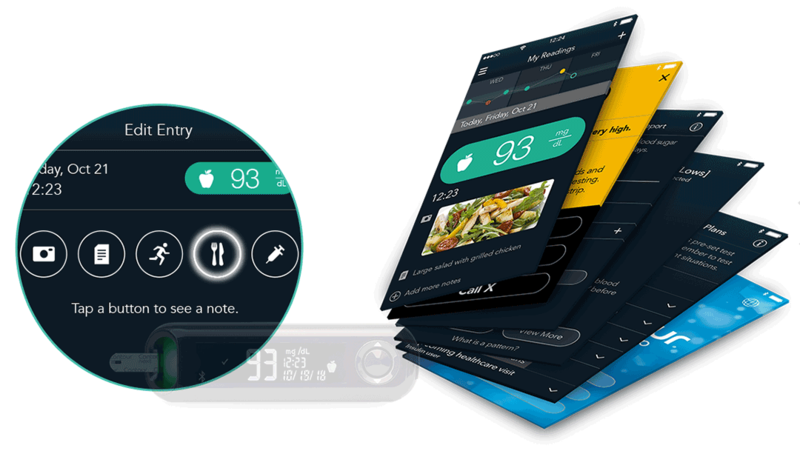 Record events such as diet, activities and medication, also add photos, notes or voice memos to help put your results in context. 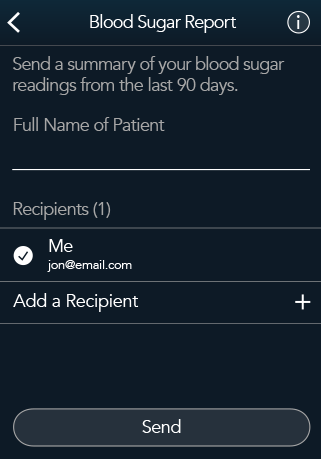 Easily share your results with your doctor, in person or before your checkup. 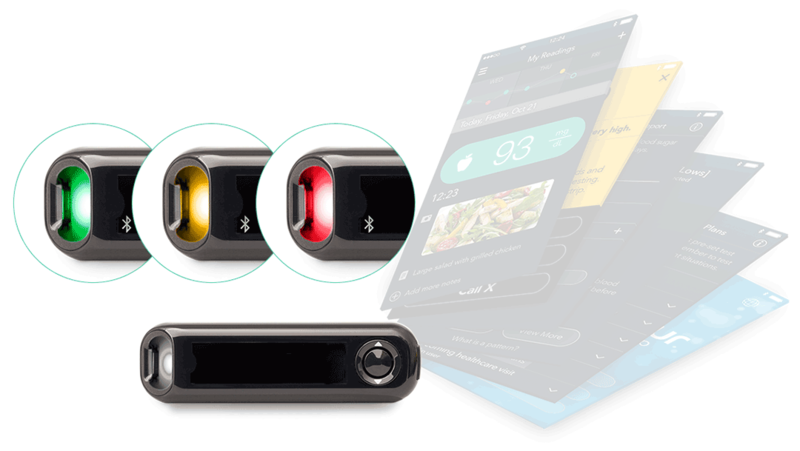 Either way you’ll both be better informed and can focus your discussion when you meet. 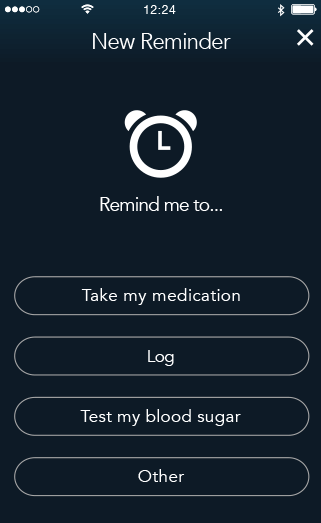 Set reminders to test and add your doctor’s appointments to your diary. 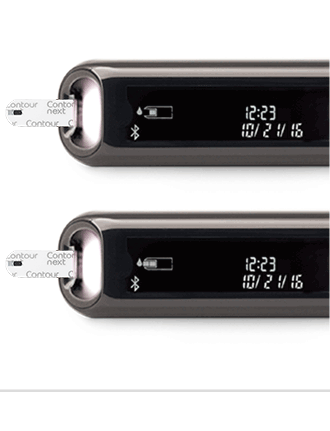 Simple to use the CONTOUR® NEXT ONE meter has been shown to deliver remarkably accurate blood glucose results. 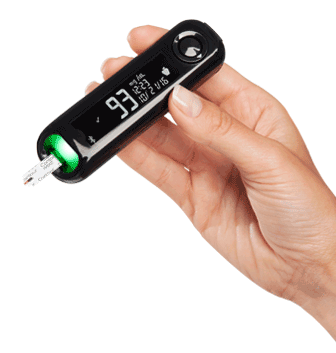 * The smallest error range met by 95% or more of results was ±8.4 mg/dL or ±8.4% (vs YSI reference) for subject fingertip tests. 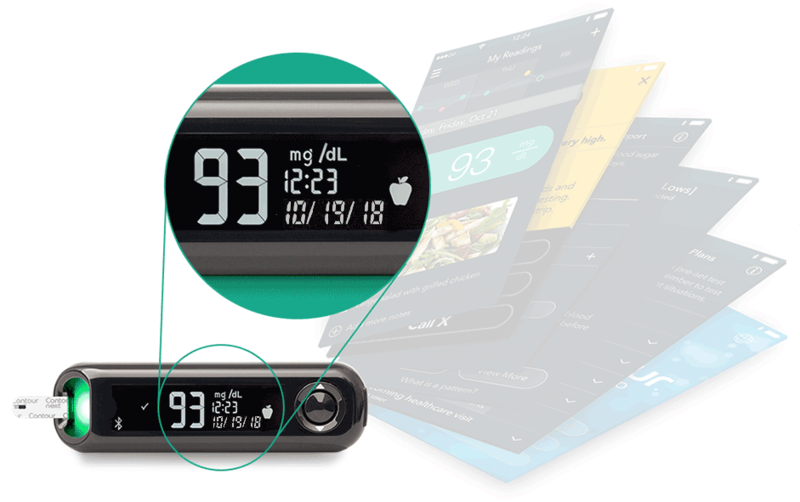 *ISO 15197:2013 accuracy requirements (Section 6.3 & Section 8) for in vitro glucose monitoring systems that measure glucose concentrations in capillary blood samples are that at least 95% of results shall fall within ±15 mg/dL or ±15% of the reference result of the mean YSI reference for samples with glucose concentrations <100 mg/dL and ≥100 mg/dL, respectively. 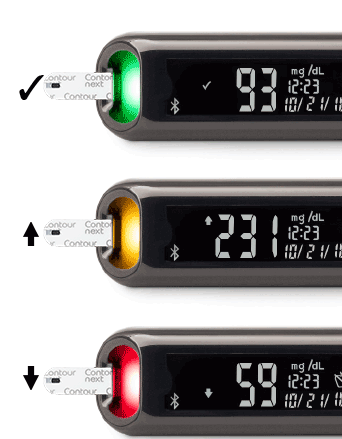 With Second-Chance® sampling you can reapply blood to the strip if the first sample is insufficient. 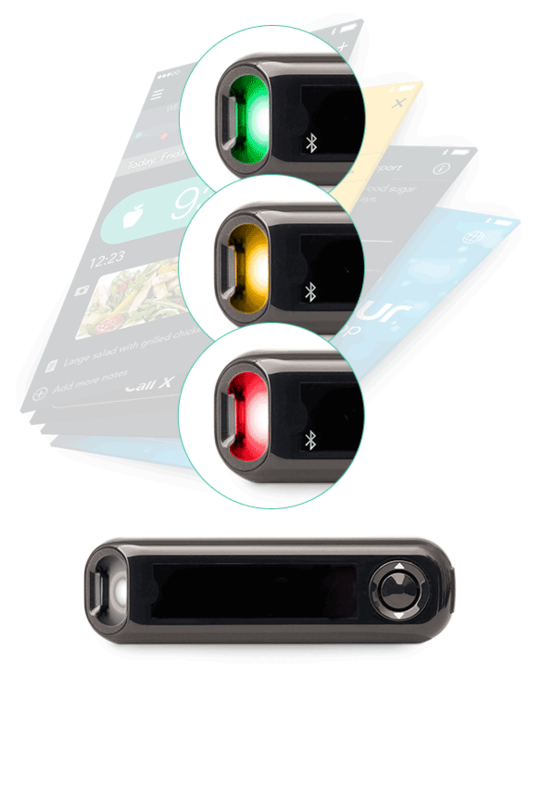 Helps to avoid lancing a second time and wasting strips. 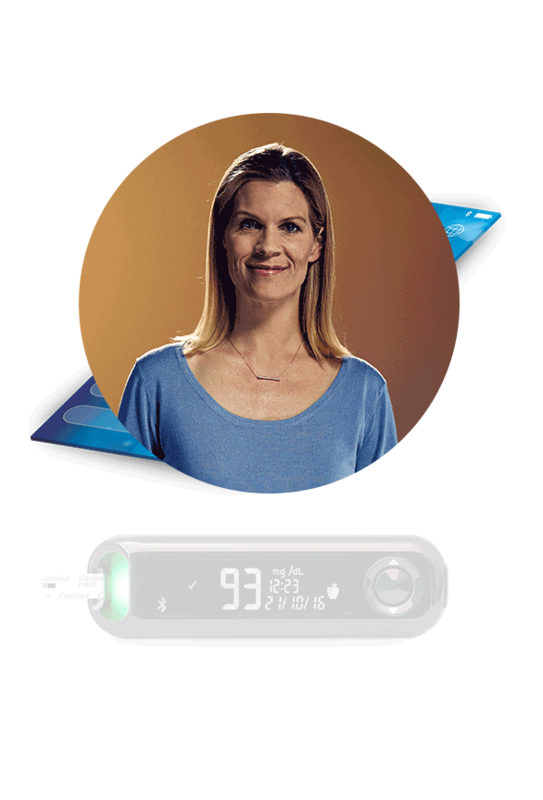 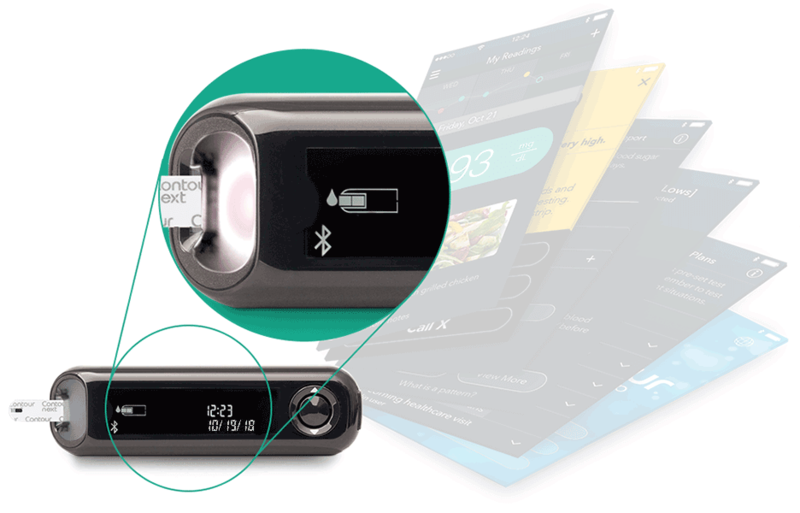 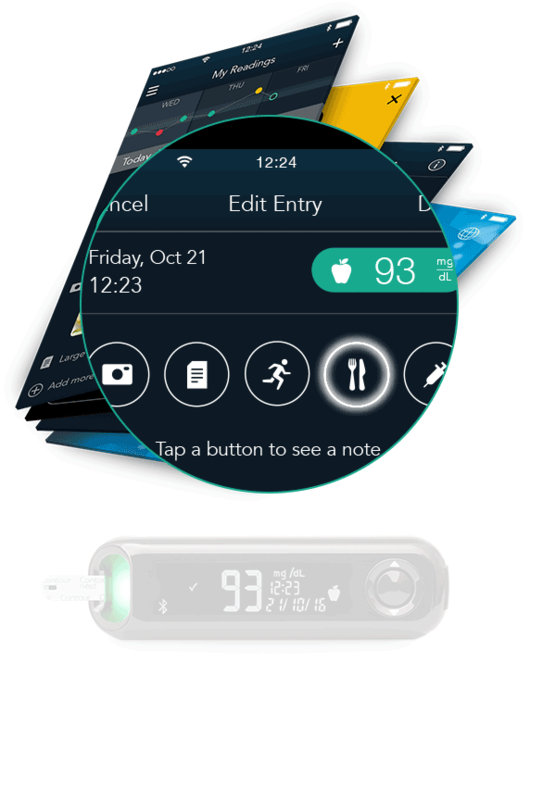 The smartLIGHT™ feature provides you with an instant indicator of your blood glucose results so you know whether they are within, above, or below your target range. 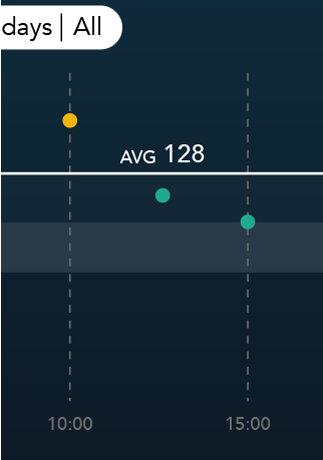 Seamlessly captured BG readings are used to create personalized patterns and trends to help you see how daily activities impact your results. 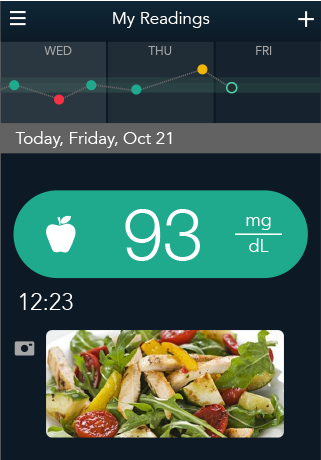 Record events such as diet, activities and medication, also add photos, notes, or voice memos to help put your results in context. 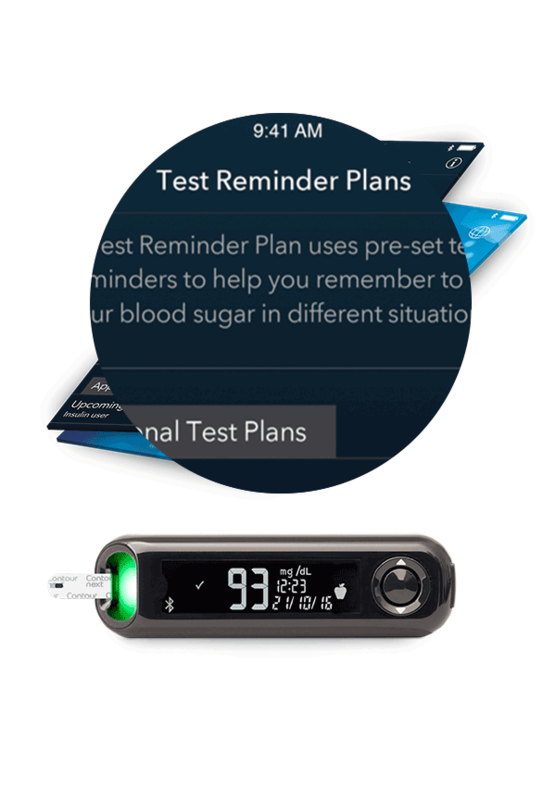 Alerts are automatically triggered when your blood glucose results are critically high or critically low. 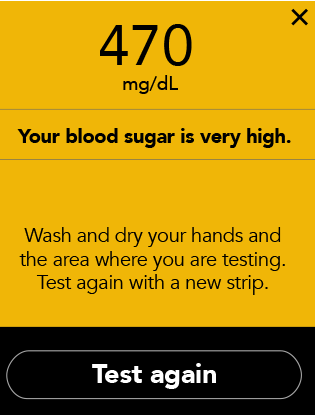 The critical high and critical low values can be changed in the app. 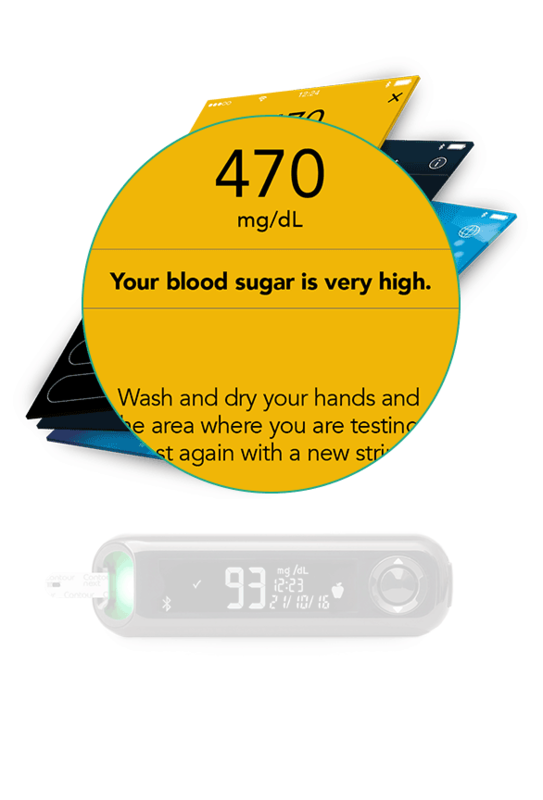 Talk to your HCP before changing these values. 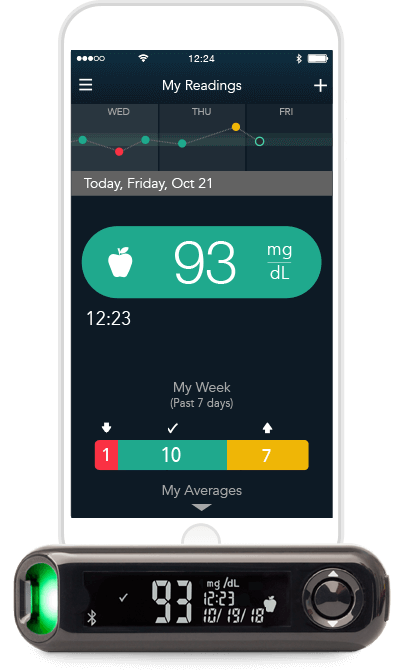 You have the ability to generate reports that can be sent in advance or taken with you to your doctor. 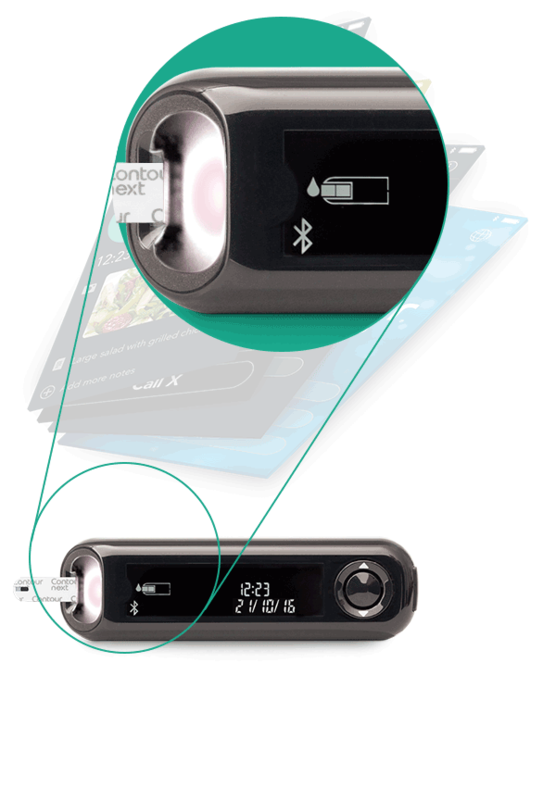 The MICROLET™NEXT lancing device is easy to use and is included with your CONTOUR®NEXT ONE meter to help you start testing with confidence. 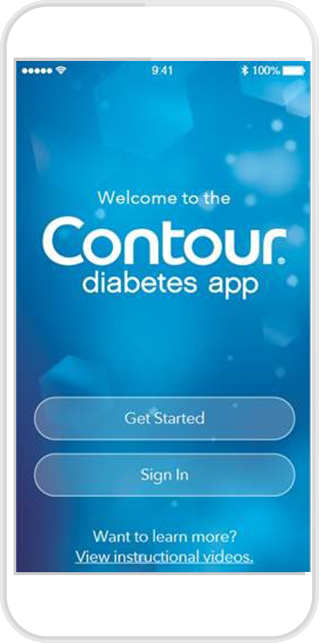 The CONTOUR®NEXT ONE meter together with the CONTOUR®DIABETES app provide a simple way to manage your diabetes. 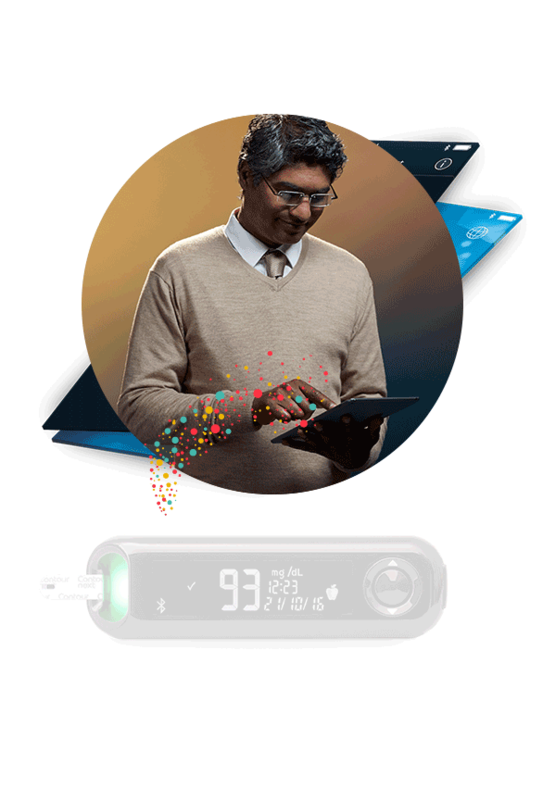 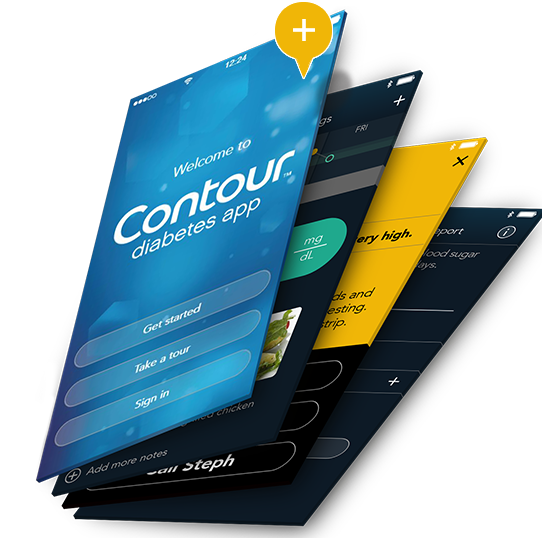 Simply ask your doctor about the new CONTOUR®NEXT ONE meter and CONTOUR®DIABETES app system today to start managing your diabetes, smarter.